We are getting a head start on our Halloween festivities. The decorations got pulled out of storage last weekend and have been strewn EVERYWHERE in the house, in the yard, on the porch – you name it. 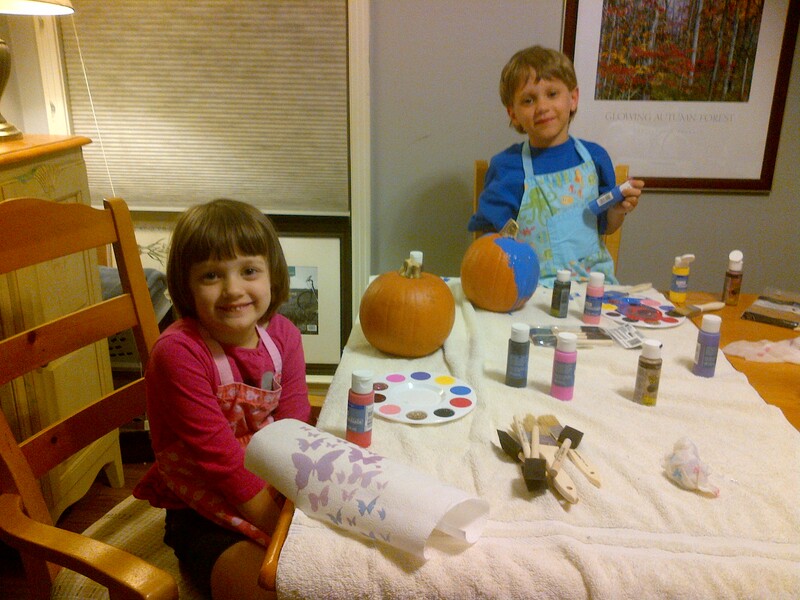 My kids also love to paint pumpkins. Which is great for me, because the carving process is kind of cumbersome. And these are just small pumpkins right now. We’ll get some bigger ones this weekend to cut up and light. One thing to notice here… my kids poured out their own paint into their little plastic palettes. Look at Nora’s and then Oliver’s. Amazing. 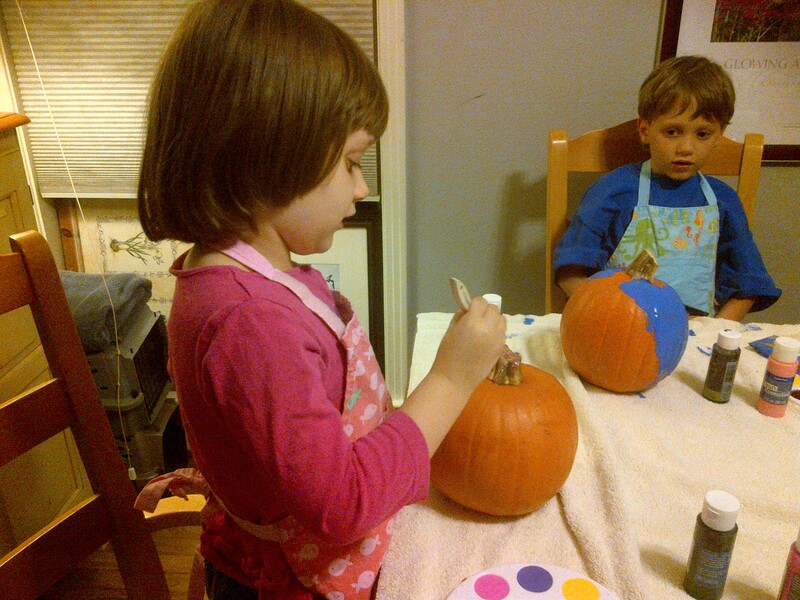 While she is still dutifully planning out how to decorate her pumpkin, he has already slathered a ton of blue paint on his. Here she is paining her stem in sparkle pink! Oliver is planning on making his a zombie pumpkin. I love this time of year – the start of all of the holidays! NOTE TO SELF: ALWAYS BUY TWO CHARM PACKS – ONE IS NEVER ENOUGH. 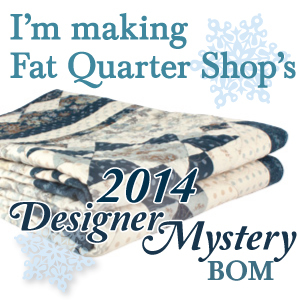 So, when I started reading through the directions, it was clear that it would have been best to have two charm packs instead of one to make the quilt. However, I like this one so much that I want to make it into a lap quilt – so a layer cake would have been best anyway! I couldn’t get this out of my mind and I finally just decided at lunch time to race 30 miles away to GRS Creations and Fabric in Old Town Spring. They have nearly EVERY Moda collection that comes out. Tons of fabric. TONS and TONS! I don’t know why I don’t visit more often! Oh yes, … money. That would be a reason. 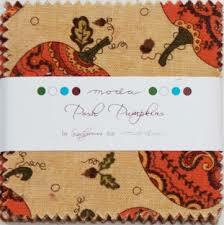 So … my trip to their shop netted me one layer cake of Posh Pumpkins and perhaps a wee bit of yardage to go along with it. I’ll show my winnings tomorrow … they are tucked away in my backseat at the moment. Can’t wait to get started on this one! How about you – are you joining AYOS this month?